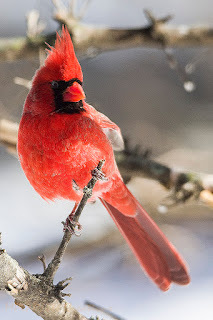 This is another image I was able to capture this past January of a male Cardinal. The light was just about perfect to bring the detail out and he posed so nicely for me. We had had a bit of snow that made for a lovely backdrop for him as well.